You'll walk in a patient and leave as a friend. A power team that believes in the patient first, every time. Esteemed RN’s Therese Geary and Julie Lambert pair their 30+ years of experience, with the most advanced non-surgical medical aesthetic technology, to give you the most comfortable, customized experience. 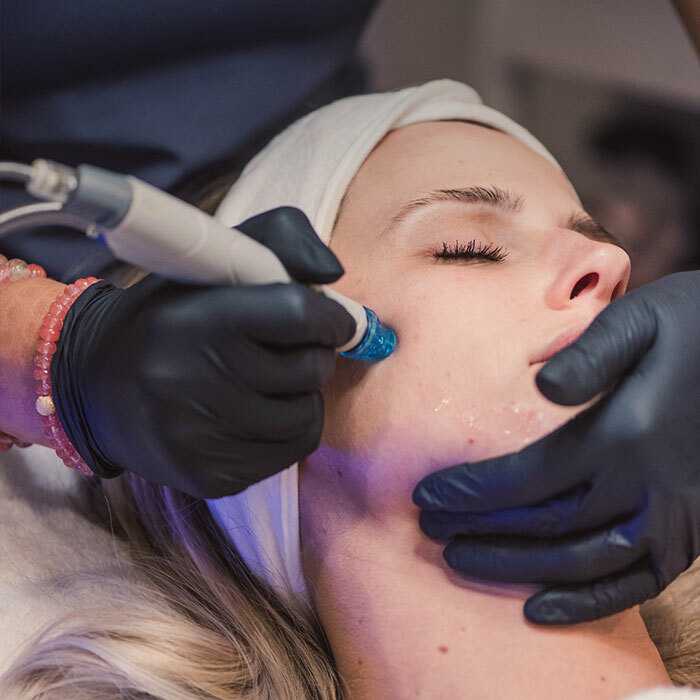 Our customized, patient results from botox and dermal fillers to microblading and microneedling, see why we’re your skins new BFF. Let me tell you, the comments I have been getting about my looks and amazing cheekbones are unbelievable, thank you for your incredible touch and talent. The staff is so personable - I honestly felt like I had been going there for years just after one visit. Welcome, beautiful and inviting space with two of the best in the business.